Although cyber security risk is now top-of-mind among executives and regulators, measuring and managing security risk levels has been a difficult task. Current risk management tools offer limited visibility and leave organizations vulnerable to emerging threats from their own networks and those of business partners and associates. 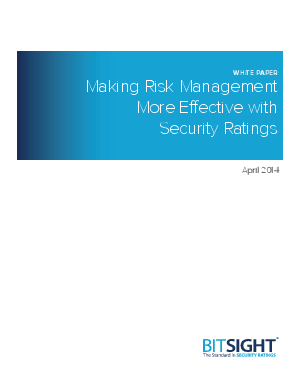 Three ways forward-thinking organizations use Security Ratings to proactively manage security risk, including benchmarking, third party risk management, and executive reporting.